6 September 1952: At the Farnborough Air Show, an annual event held at the Royal Aircraft Establishment Farnborough, Hampshire, England, de Havilland test pilot John Douglas Derry, D.F.C., with flight test observer Anthony Max (“Tony”) Richards, put the prototype DH.110, WG236, into a supersonic dive from 40,000 feet (12,182 meters), pulling out just short of the airfield and the estimated 120,000 spectators. 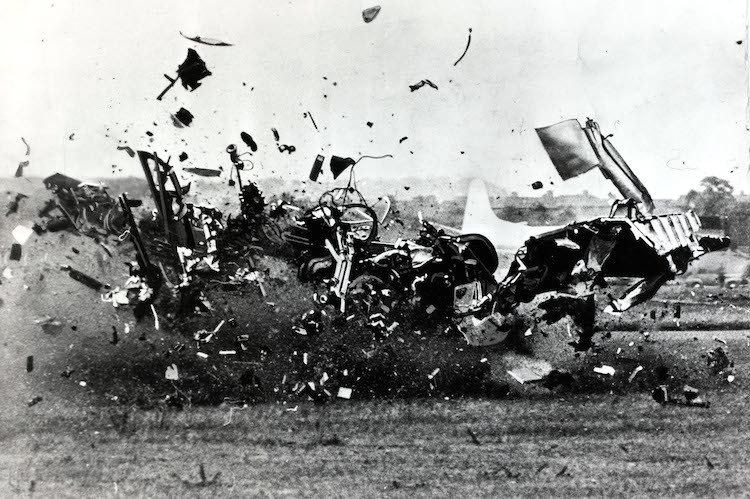 Derry then made a high-speed, low-level circuit of the airfield, and as he straightened out, the airplane broke apart and crashed onto Observation Hill. Both Derry and Richards were killed, as were 29 spectators. Another 63 were injured. 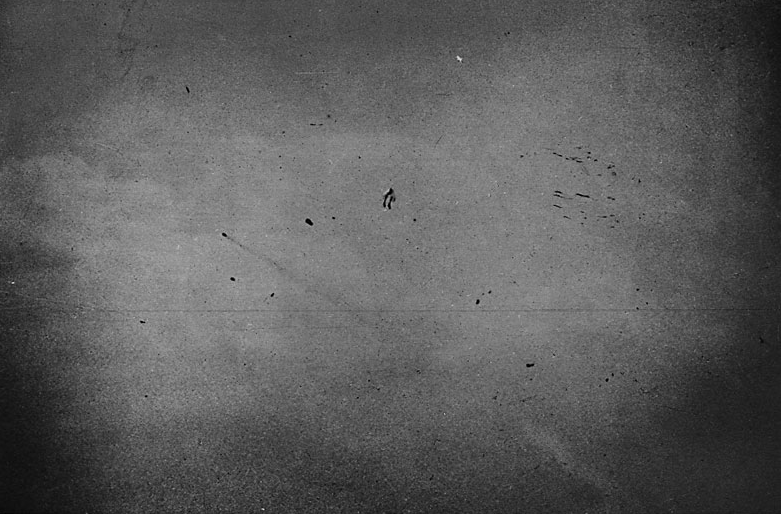 Film taken from the ground showed that as the airplane came level, the starboard outboard wing separated, followed by the port outboard wing. 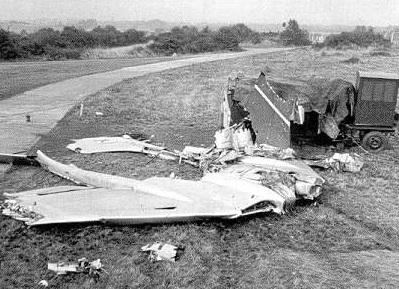 The aircraft pitched violently upward with an acceleration of more than 12 Gs, and the cockpit, engines and tail then disintegrated. The DH-110’s swept wings placed the ailerons well aft of the airplane’s center of gravity. When the pilot began his bank to the right, away from the crowd, he also began to climb. This caused the wing outer panels to twist, resulting in unexpected stresses. The right wing failed in torsion. The resulting roll then caused the left wing to fail. The flight crew was not faulted. Changes were made in the location of the spectators and maneuvering aircraft at the airshow from that time forward. 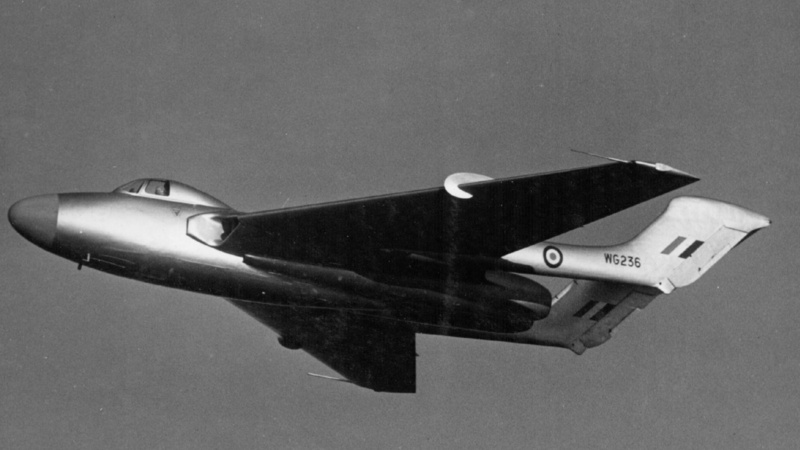 The de Havilland DH.110 was a prototype all-weather interceptor intended for operation by the Fleet Air Arm from the Royal Navy’s aircraft carriers. It was a two-place, twin-engine swept-wing fighter capable of supersonic speed. WG236 was the first prototype, which made its first flight the previous year, 26 September 1951. 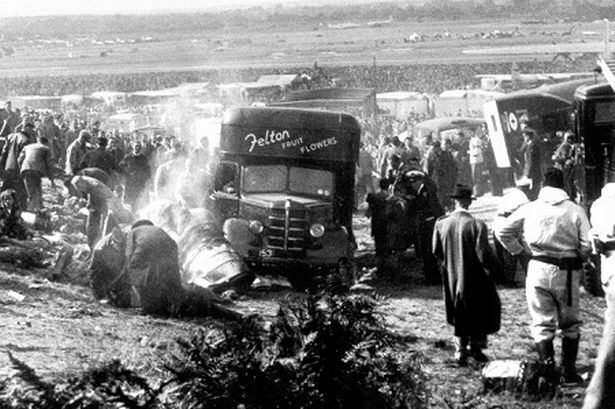 At the time of the accident WG236 had flown approximately 125 hours. The second prototype, WG240, had been scheduled to fly the demonstration for the air show, but had to be replaced for maintenance reasons. 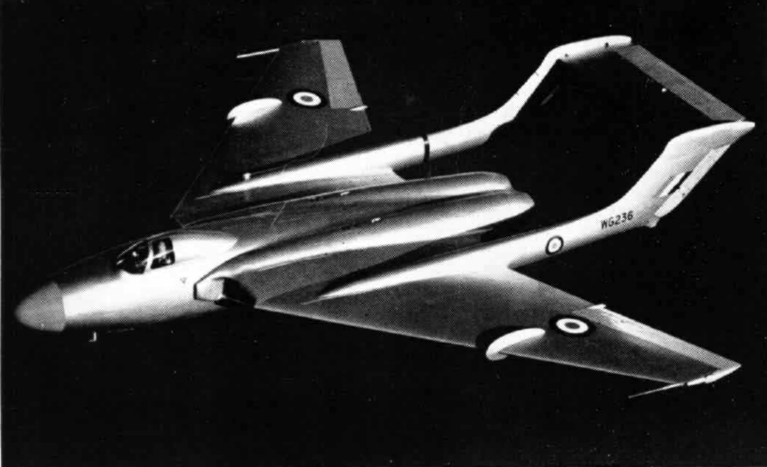 The DH.110 used the twin-tailboom configuration of de Havilland’s DH.100 Vampire and DH.112 Venom fighters, but the wings were swept to 45°. WG236 was 51 feet, 8 inches (15.748 meters) long with a wingspan of 51 feet, 0 inches (15.545 meters) and height of approximately 11 feet (3.35 meters). Its maximum takeoff weight was 35,000 pounds (15,876 kilograms). WG236 was powered by two Rolls-Royce Avon RA.3 engines The RA.3 was a single-spool axial-flow turbojet with a 12-stage compressor section and single-stage turbine. It was rated at 6,500-pounds-thrust (28.91 kilonewtons). The second prototype used the more powerful RA.7. The DH.110 had a maximum speed of 610 knots (0.924 Mach) at Sea Level, and 536 knots (0.936 Mach) at 40,000 feet (12,182 meters). Planned armament for the production fighter was four 30 millimeter ADEN cannon. 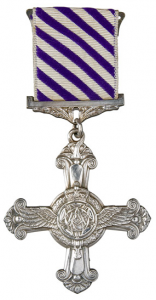 Both airmen were posthumously awarded the Queen’s Commendation for Valuable Service in the Air. 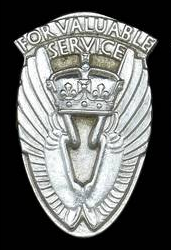 QUEEN’S COMMENDATIONS FOR VALUABLE SERVICE IN THE AIR. John Douglas Derry, D.F.C. 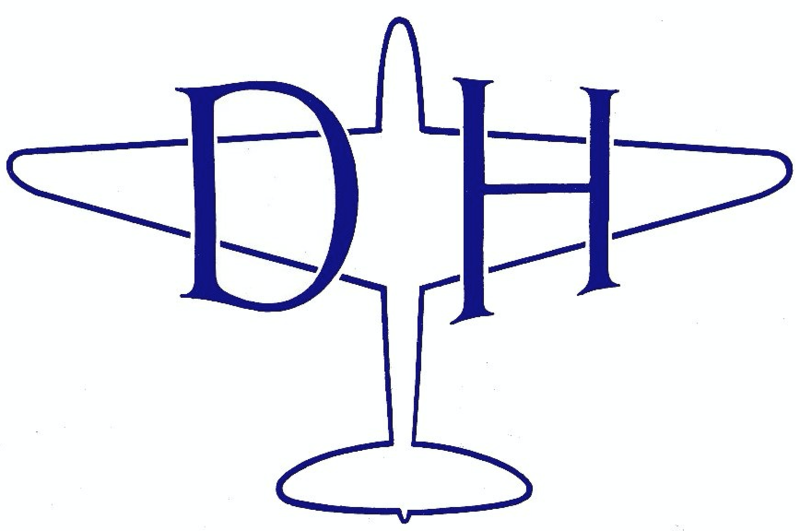 (deceased), Test Pilot, de Havilland Aircraft Company, Ltd.
Anthony Max Richards (deceased), Flight Test Observer, de Havilland Aircraft Company, Ltd.
For services when testing an experimental aircraft. John Douglas Derry was born 5 December 1921 at Cairo, Egypt. He was one of four children of Douglas Erith Derry, M.C., M.B., Ch.B., Professor of Anatomy at the Government Medical School there, and Margaret G. Ramsay Derry. Derry was educated at the Dragon School, a preparatory school for boys in Oxford, England, and at Charterhouse, in Surrey. In 1939, he enlisted in the Royal Air Force as an aerial gunner and radio operator. He was assigned as a crewman on Lockheed Hudson bombers with Coastal Command, before being sent to Canada for pilot training in 1943. On his return to England he was “seconded” to the Air Transport Auxiliary. 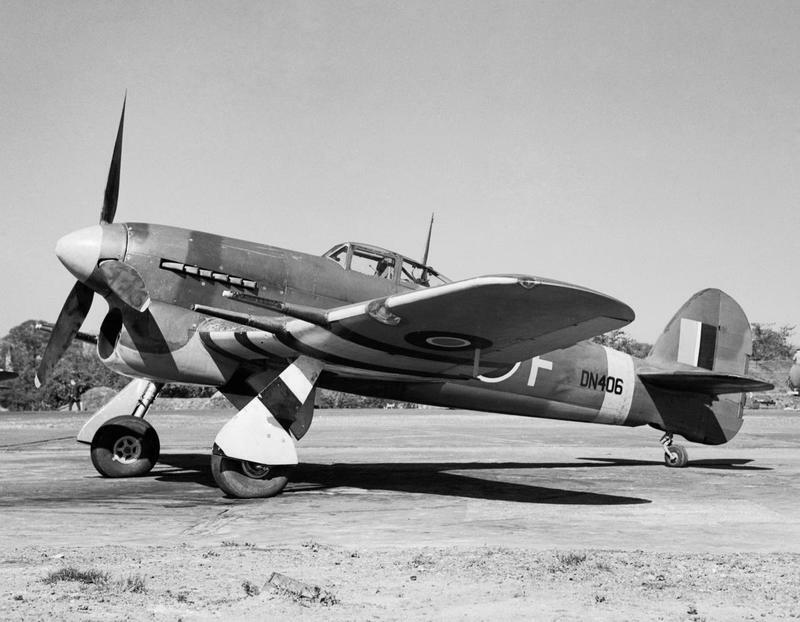 Derry returned to combat operations in October 1944, flying Hawker Typhoons on close air support missions with No. 182 Squadron. Shortly after, he was transferred to No. 181 Squadron as a flight commander. In March 1945, Derry returned to No. 182 as the squadron’s commanding officer. This officer has participated in a large number of sorties as air gunner and later pilot. He has at all times displayed great determination and skill and his courage has been of the highest order. 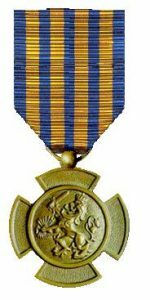 In April 1945, he led his squadron in an attack against enemy gun positions. Despite intense opposition the attack was pressed home with great accuracy. The success of this operation was due in no small measure to Squadron Leader Derry’s gallant and skillful leadership. This officer has set a fine example to all. 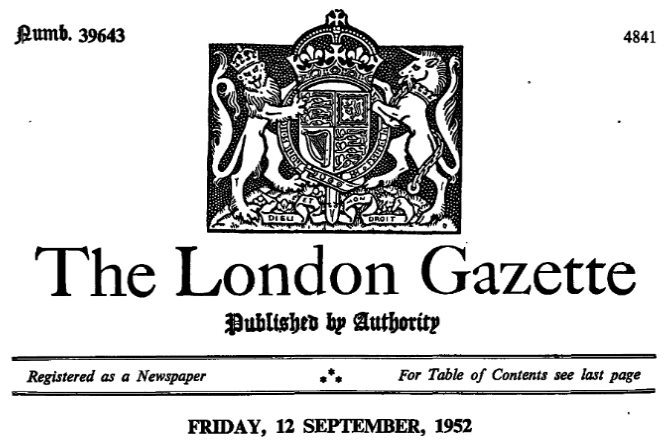 —Fourth Supplement to The London Gazette of Tuesday, the 26th of JUNE, 1945, Numb. 37154, at Page 3405, Column 1. 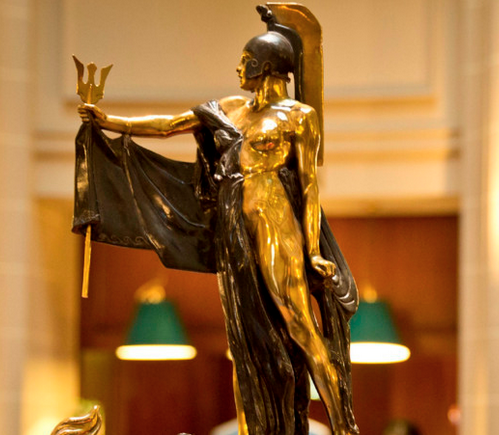 Her Majesty, Wilhelmina, The Queen of The Netherlands, awarded Acting Squadron Leader Derry the Bronzen Leeuw (Bronze Lion). After No. 182 Squadron was disbanded 30 September 1945, Squadron Leader Derry was appointed commanding officer of the Day Fighter Leader School at the Central Flying School, flying the Hawker Tempest. After being released from service, Derry became an experimental and production test pilot for Vickers Supermarine. In October 1947, he moved to de Havilland. More than one member of Flight‘s staff was proud to know John Derry—a fine-looking young man and an inspiring personality—and on occasions to talk of flying and testing with him. We recall his cheerful unassuming manner, his completely straightforward and natural approach to any topic, and his firm opinion upon matters which he himself had studied and investigated. 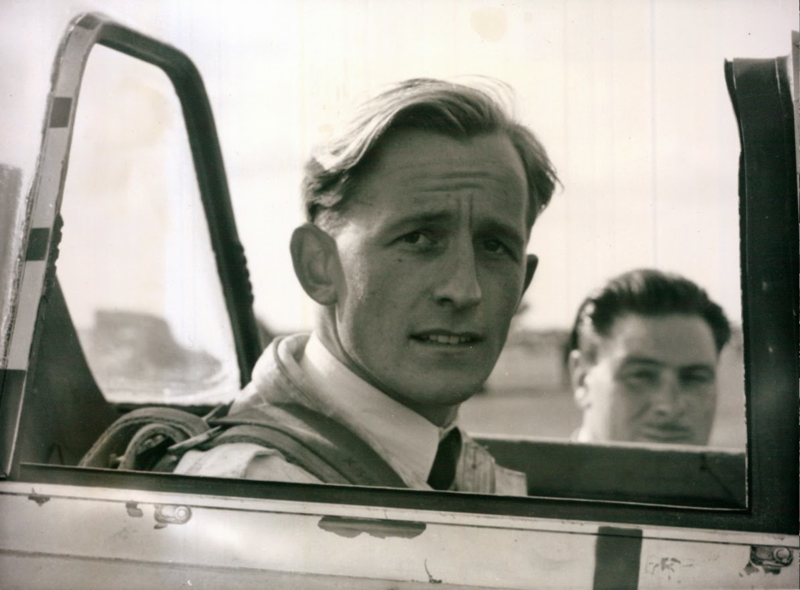 He was undoubtedly one of what we now call the new generation of test pilots, men who must be able to back their flying experience and skill as pilots with a full technical understanding. 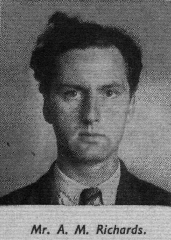 John Derry was married with two children. 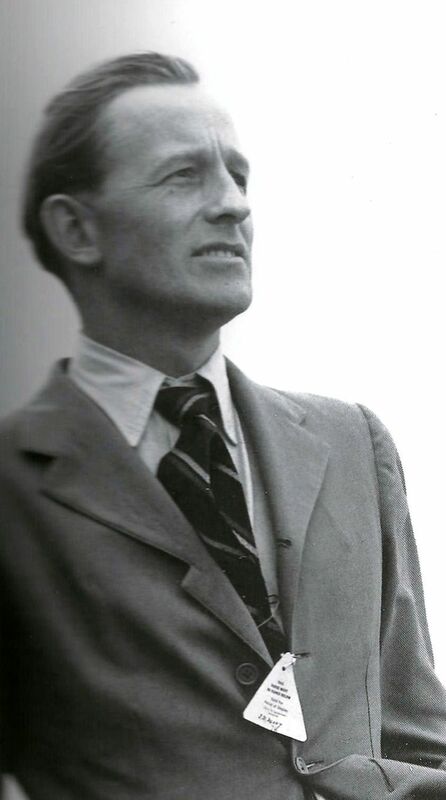 —Squadron Leader John Douglas Derry, D.F.C. The biplane was powered by a turbo-supercharged 1,649.3-cubic-inch-displacement (27.028 liter) liquid-cooled Liberty L-12 single overhead cam (SOHC) 45° V-12 engine which produced 449 horsepower at 2,000 r.p.m. Aeronautical engineer Dr. Sanford Alexander Moss developed the use of a turbocharger on aircraft engines. The Packard Lepère L USA C.II was a World War I biplane designed by French aeronautical engineer Captain Georges Lepère and built by the Packard Motor Car Company of Detroit, Michigan. It was to have been a two-place fighter, light bomber and observation aircraft armed with four machine guns. The Packard Lepère was 25 feet, 3-1/8 inches (7.699 meters) long. The upper and lower wings had an equal span of 41 feet, 7¼ inches (12.681 meters), and equal chord of 5 feet, 5¾ inches (1.670 meters). The vertical gap between the wings was 5 feet, 5/8-inch (1.527 meters) and the lower wing was staggered 2 feet, 15/16-inch (0.633 meters) behind the upper wing. The wings’ incidence was +1°. 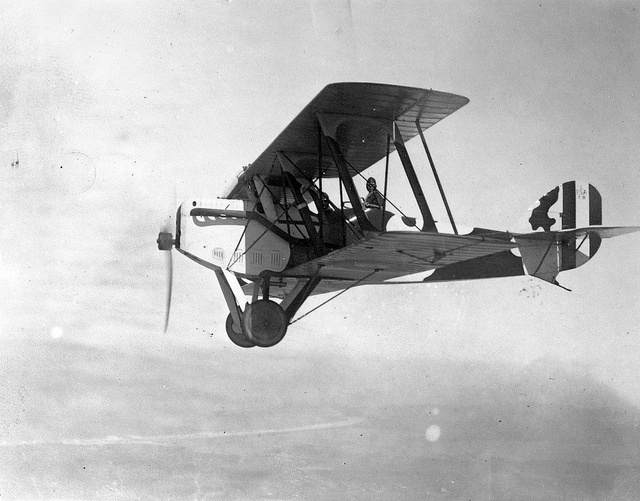 Upper and lower wings were equipped with ailerons, and had no sweep or dihedral. The height of the Packard Lepère, sitting on its landing gear, was 9 feet, 7 inches (2.921 meters). The Packard Lepère had an empty weight of 2,561.5 pounds (1,161.9 kilograms) and its gross weight was 3,746.0 pounds (1,699.2 kilograms). The fuselage was a wooden structure with a rectangular cross section. It was covered with three layers of veneer, (2 mahogany, 1 white wood) with a total thickness of 3/32-inch (2.38 millimeters). The fuselage had a maximum width of 2 feet, 10 inches (0.864 meters) and maximum depth of 4 feet, 0 inches (1.219 meters). The wings were also of wooden construction, with two spruce spars and spruce ribs. Three layers of wood veneer covered the upper surfaces. Heavy bracing wires were used. These had an airfoil cross-section and actually provided additional lift. The interplane struts were unusual in that they were fully-framed units. The Packard Lepère was powered by a water-cooled, normally-aspirated, 1,649.336-cubic-inch-displacement (27.028 liter) Liberty L-12 single overhead cam (SOHC) 45° V-12 engine with a compression ratio of 5.4:1. 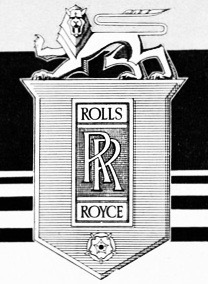 The Liberty produced 408 horsepower at 1,800 r.p.m. The L-12 as a right-hand tractor, direct-drive engine and it turned turned a two-bladed, fixed-pitch wooden propeller. The Liberty 12 was 5 feet, 7.375 inches (1.711 meters) long, 2 feet, 3.0 inches (0.686 meters) wide, and 3 feet, 5.5 inches (1.054 meters) high. It weighed 844 pounds (383 kilograms). The engine coolant radiator was positioned horizontally in the center section of the Lepère’s upper wing. Water flowed through the radiator at a rate of 80 gallons (303 liters) per minute. The Packard Lepère had a maximum speed of 130.4 miles per hour (209.9 kilometers per hour) at 5,000 feet (1,524 meters), 127.6 miles per hour (205.4 kilometers per hour) at 10,000 feet (3,048 meters), 122.4 miles per hour (197.0 kilometers per hour) at 15,000 feet (4,572 meters), 110.0 miles per hour (177.0 kilometers per hours) at 18,000 feet (5,486 meters) and 94.0 miles per hour (151.3 kilometers per hour) at 20,000 feet (6,096 meters). Its cruising speed was 112 miles per hour (180 was kilometers per hour). The airplane could climb to 5,000 feet in 4 minutes, 24 seconds, and to 20,000 feet in 36 minutes, 36 seconds. In standard configuration, the Packard Lepère had a service ceiling of 20,200 feet (6,157 meters). Its range was 320 miles (515 kilometers). 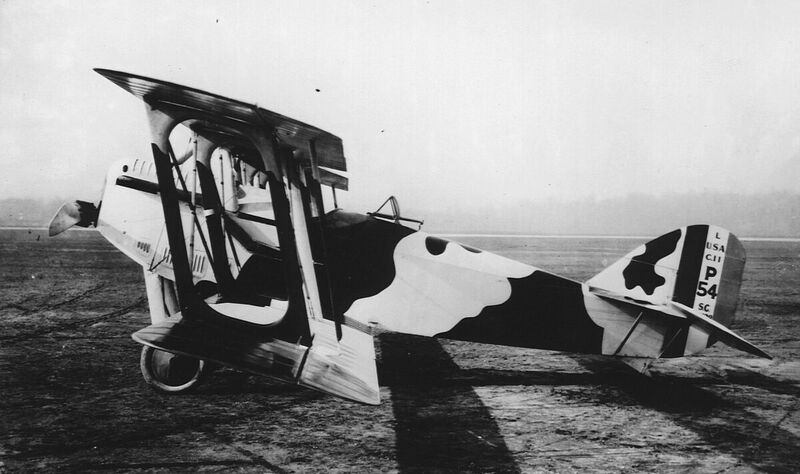 The fighter’s armament consisted of two fixed M1918 Marlin .30-caliber aircraft machine guns mounted on the right side of the fuselage, synchronized to fire forward through the propeller arc, with 1,000 rounds of ammunition, and two M1918 Lewis .30-caliber machine guns on a flexible mount with 970 rounds of ammunition. The Air Service had ordered 3,525 of these airplanes, but when the War ended only 28 had been built. The contract was cancelled. 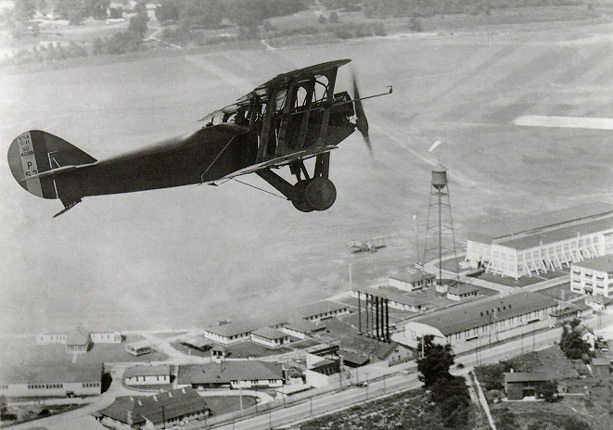 Packard Lepère L U.S.A. C.II in flight. Six Packard Lepères were used for flight testing at McCook Field, Dayton, Ohio, assigned project numbers P 44, P 53, P 54, P 65, P 70 and P 80. 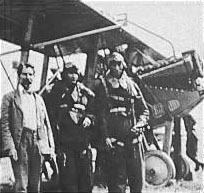 One of these, flown by Major Rudolph W. Schroeder, set two Fédération Aéronautique Internationale (FAI) World Records for Altitude at 9,455 meters (31,020 feet), 18 September 1918.¹ On 6 September 1919, Schroeder flew a Packard Lepère to 8,616 meters (28,268 feet) while carrying a passenger. 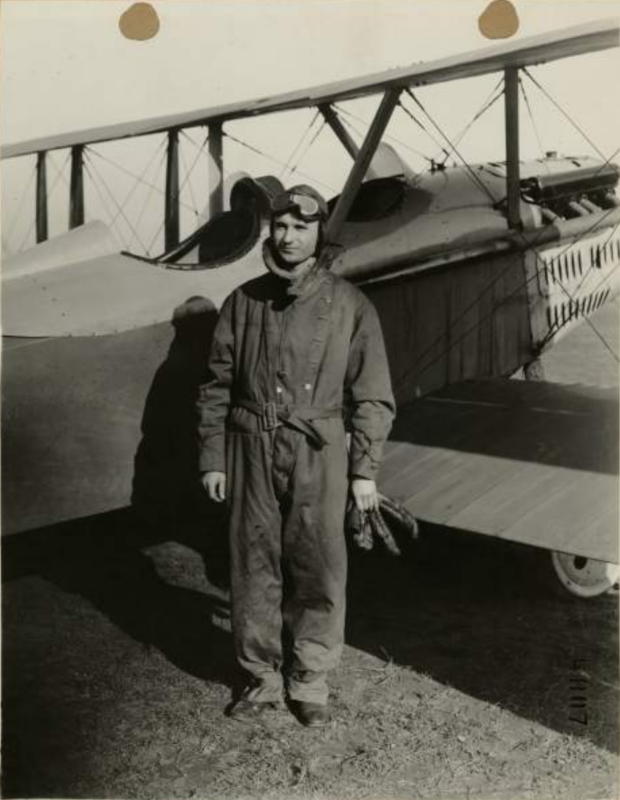 This set two more World Altitude Records.² Flying P 53, A.S. 40015, he set a fifth FAI altitude record of 10,093 meters (33,114 feet), 27 February 1920.³ On 28 September 1921, Captain John A. Macready flew P 53 to an altitude of 40,800 feet (12,436 meters). 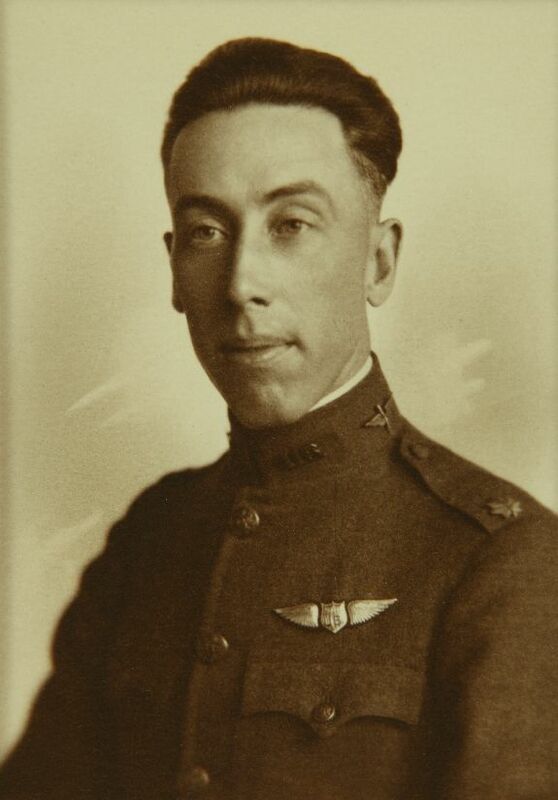 On 13 October 1922, 1st Lieutenant Theodore J. Koenig flew P 53 to win the Liberty Engine Builders’ Trophy Race at Selfridge Field, near Mount Clemens, Michigan. Koenig completed ten laps of the triangular racecourse in 2:00:01.54, at an average speed of 128.8 miles per hour (207.3 kilometers per hour). 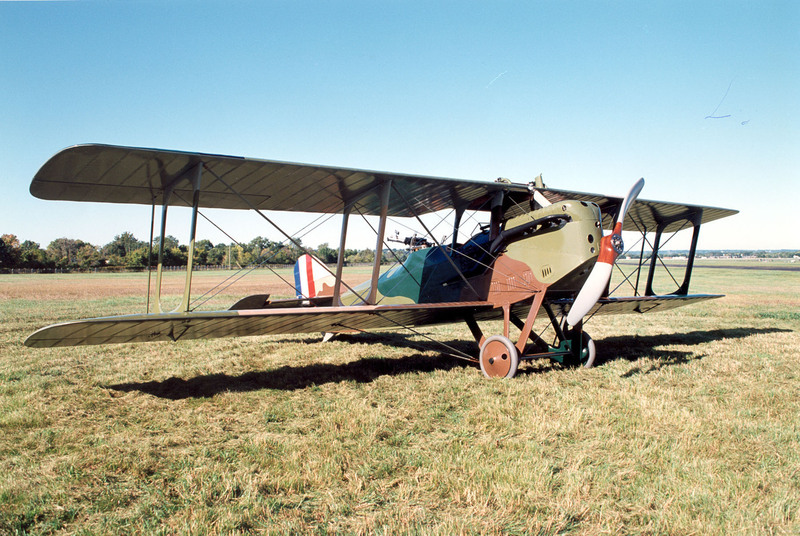 The only Packard Lepère in existence, serial number A.S. 42133, is in the collection of the National Museum of the United States Air Force, Wright-Patterson Air Force Base, Ohio. ² FAI Record File Number 15675: World record for altitude with passengers.